Food for the brain will not only improve our concentration, mood and improve memory, but will also act preventively in many severe health problems. In fact, nuts, sea fish, eggs and raw seeds are rich in valuable elements which keep the nervous system and prevent Alzheimer's disease. We will share some great tips and recipes, which can enrich your daily menu. We now know that our brain begins to form even in the first months of a child's development in the womb, and the food that the mother eats during pregnancy, significantly influences the development of this organ. So a healthy diet during pregnancy is of very great importance for the development for our children. It has been scientifically proven that just by what the mother eats during the pregnancy, depends on the child's level of intelligence. The impact of food on the brain is very important later in life. Therefore, if you often feel constant fatigue, exhaustion and you are often exhausted and often distracted, if you are in - it is very possible that you do not eat the right food for your brain. Some studies have shown the right food for the brain and memory can greatly rejuvenate the function of brain. Correct and balanced diet, can definitely rejuvenate your brain, improve our memory, concentration and restore good mood. All these foods today thanks to numerous green markets ear easily accessible, and there is no reason not to list it in our daily diet. Every organ in the body depends on our bloodstream, particularly important is good blood flow in the heart and brain. Food that is rich in whole grains and fruits like avocados can reduce the risk of the majority of cardiovascular diseases and lower the level of bad cholesterol in our blood, and therefore the risk of a stroke. So, these precious fruits reduce the risk of congestion of our blood vessels and improve blood flow, offering a delicious way to "shake up" the nerve cells. Whole grains are a real food for the brain and are also rich in dietary fibre and vitamin E.
Kale, spinach, parsley, broccoli, lettuce and cabbage are the richest source of vitamin K, which enhances brain function and improves memory skills. This is achieved thanks to the ability to prevent oxidative damage to nerve cells. In addition, vitamin K normalizes blood clotting and prevents calcification in the arteries. They contain quercetin, which effectively prevents oxidative damage and works exceptionally in the prevention of Alzheimer's and Parkinson's disease and many other degenerative diseases. This berry is rich in very important phytonutrients, which improves our ability to memorize and reduce the effects of chronic degenerative processes such as Alzheimer's disease or severe dementia. Studies have confirmed the people who regularly eat fresh or drink natural juice of blueberries improve your mental side, but also motor skills. Even though yolk contains cholesterol, for which we often bypass it, however we should consume it from time to time, because it is rich in lutein, a strong antioxidant necessary for good vision. Also, low levels of antioxidants in the body can lead to poor memory and concentration decline. Eggs other than the above, contain choline from the B-vitamins, which is very good for our brain. Healthy fats from cold-squeezed vegetable oils improve thinking, memory and balance our mood. Several recent studies have shown that with a diet that is low in these fats can lead to a weakening of memory, mood changes and long-term insomnia. 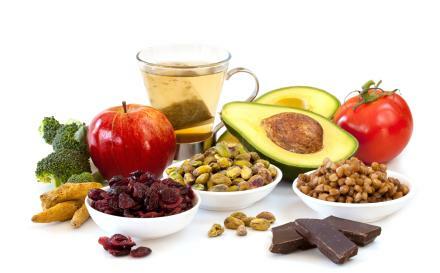 Therefore, choose healthy fats, they are the best food for the brain, like those in olive oil, nuts and other healthy nuts and seeds, and avoid foods that are rich in unnecessary and unhealthy fats. Some types of fish contain omega-3 fatty acids, but when you consider the fact that even 25 percent of our brain is made up of one type of omega-3 fatty acids (DHA), it is clear why this is the ultimate brain food. Fish that are especially rich in these healthy fats are salmon, trout, mackerel, anchovies, sardines, and tuna. If you are not a fan of fish, as sea and river, then you can take omega-3 pills as a regular supplement in the diet. Memory can be improved by eating soy that mimics estrogen. One study showed that men who take soybeans and isoflavone pills for six weeks greatly improve memory. You can eat soy beans, tofu, or drink soy milk, you will not go wrong with it and in every form is excellent brain food. Nuts, such as almonds, hazelnuts and walnuts, pumpkin seeds, sunflower seeds, sesame seeds, and flax, are an excellent source of vitamin E, which is just responsible for our intellectual abilities. Walnut even after its appearance is reminiscent of the brain, which is not an accident. And nuts and seeds should be eaten only in their raw form. Zinc, which is contained in these fruits, is also very important for the operation of the brain and improves cognitive abilities. Orange, lemon, pomegranate and grapefruit are a real vitamin bombs, which has an extremely positive effect on the brain. This fruit is very rich with antioxidants, which effectively protects our brain from free radicals, and it is believed that the neurons in the brain are the most sensitive in their effect. Therefore, do not start your day with a cup of coffee and a cigarette, drink more beneficial juices of nature - and you will feel an amazing influx of energy, but in the long run provide yourself a healthier life. Mix two tablespoons of cocoa powder, a teaspoon of carrot, a tablespoon of honey, two tablespoons of vegetable milk powder (eg. Rice) and add a teaspoon of water, just enough to connect and mix everything. In this way you can insert to the resulting chocolate ground or chopped almonds or hazelnuts. Also, you can pour the banana and get a healthy version of chocolate bananas. One more celery grate into a bowl and add the finely chopped celery leaves and 100 grams of chopped walnuts. The mixture mix with a cup of sour milk. This fine combination of the right foods for your brain and concentration is best to eat with whole grain bread. Finely chop the onion and sauté the ghee (purified butter) with a little water. Then add the broccoli flowers. Cover with water and cook for five to ten minutes. From spices add salt, pepper and nutmeg (a pinch). Remove the broccoli remove, mix, and then return back into the water to get the cream soup. Two cups of unroasted and unsalted peanuts bake in the oven for about five minutes at 180 degrees. Stir every minute or two. When roasted peanuts are fine baked and cooled, remove the flakes and place it in a blender. Add two tablespoons of olive oil and a pinch of salt and blend everything to obtain a smooth homogeneous mass. Pour into a glass jar and refrigerate. We hope that you found out that this is the best food for the brain and memory, and we recommend the text food for depression.